The calorie count and the fat count can differ based upon meat that you use. 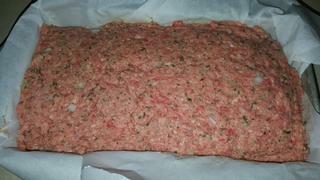 The grease that is in the bottom of the loaf pan can be saved and used to different purposes. 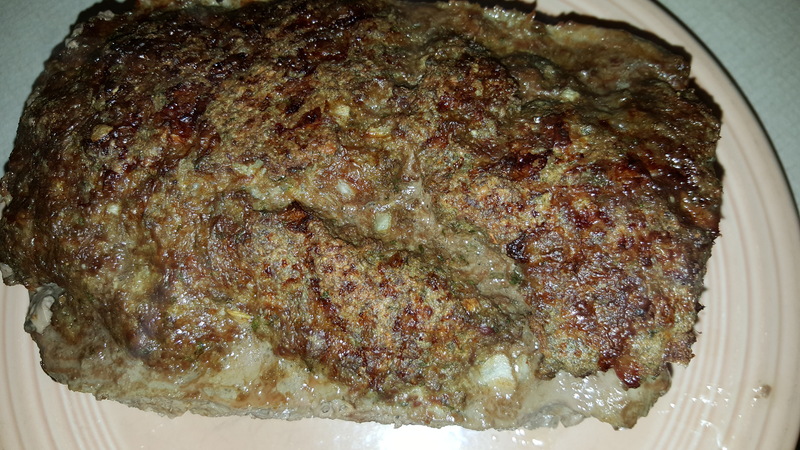 What is not to love about a meatloaf that is not only low carb, gluten free but also keto friendly? 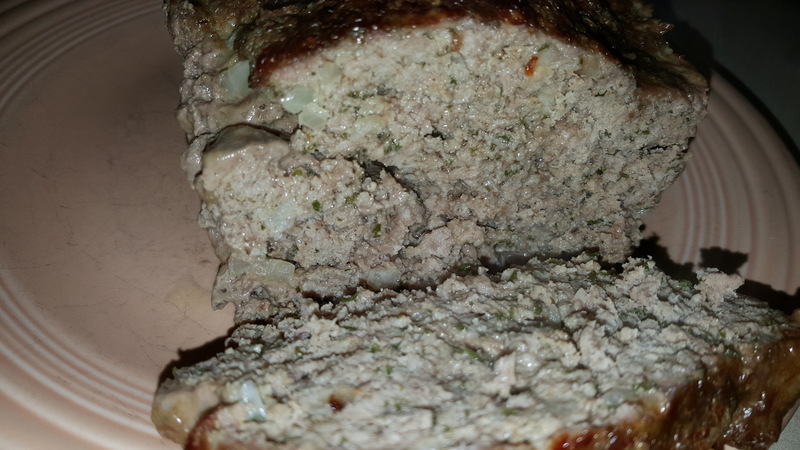 This meatloaf is a lot like the bacon wrapped one, except that this one is 100% pork free. When it comes out of the loaf pan, not only does it smell great, look great, but it also tastes great too. In a large mixing bowl with an handheld mixer, combine the first 12 ingredients. Mix on low until well combined. Take a regular size loaf pan or a bread loaf pan (same thing), line the bottom of the pan with parchment paper makes taking the meatloaf out of the pan extremely easy!) Using a metal spoon scoop the meat mixture from the bowl into the loaf pan . Cook in the oven for 90 minutes, or until a meat thermometer shows 180-190. Remove from the oven, let stand for about 5 minutes to let cool. You can also wrap this in turkey bacon if you wanted to. I have heard of some people leaving out 1/2 lb of meat and filling it with 8 or so ounces of cheese, such as cheddar cheese. This entry was posted on May 29, 2017 at 10:02 PM and has received 396 views. There are currently 0 comments. Print this entry.